When an Oakland criminal defense attorney claims that a search and seizure was conducted illegally, the goal is to have the evidence suppressed or thrown out of the trial. If the defense is successful, the prosecution will not be able to win a conviction because it has no evidence to present. There is another reason that an Oakland criminal defense lawyer may challenge a search and seizure, particularly in jurisdictions that do not have preliminary hearings. Challenging a search and seizure will allow a lawyer to find out more information about the evidence the prosecutor is planning on presenting at the trial. In most cases, police officers do not have a warrant when they conduct a search. When this happens, it will be up to the prosecutor to prove that the search was conducted legally. To accomplish this, the prosecutor must demonstrate that law enforcement had probable cause to suspect that a defendant either had possession of evidence of a crime or had committed a crime. The prosecutor will have to present a written response to the defense attorney’s motion to suppress. The written response, along with the testimony given at the suppression hearing, will allow an Oakland criminal defense attorney to learn more about the state’s evidence. An Oakland criminal defense lawyer might ask the following questions to assess whether or not a case has a search and seizure issue. Did law enforcement officers perform any examinations of a defendant’s physical person, such as saliva, blood, urine or hair? Did officers take possession of a vehicle belonging to the defendant or that the defendant was either driving or riding in? Was any property taken from the defendant by police such as computers, cellphones, documents, books, guns, drugs, briefcases, bags or other belongings? Once an item was in an officers possession, did law enforcement search further by opening computer or paper files and other containers such as bags, purses, backpacks or briefcases? Was technology used by law enforcement to monitor a defendant’s activities to view any space in which a defendant would expect to maintain privacy? Did officers monitor or intercept a defendant’s communications by computer, telephone or mail? Was a defendant’s home, or the areas around the home or business entered or searched by police officers regardless of whether the defendant was present? An Oakland criminal defense attorney may review a defendant’s case to determine whether there was an issue with a search and seizure. 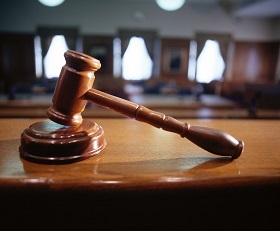 The Orr Firm has experience with criminal defense and suppression issues. Call for an appointment at 510-985-4600.